Welcome to the Titusville Organic Buying Group. We are looking forward to working with you ordering wholesome organic produce directly from the wholesaler. Please review the information below to get a clear picture of what to expect as we work together. First of, please keep in mind that we are a buying group purchasing directly from a wholesaler, not a retail store. That means that we will be receiving cases of produce that came directly from the farm to the distributor (wholesaler) to us. In this case, produce is not hand selected like you would find in a retail store so one apple, onion, tomato etc may not be as nice as another. We will do our best upon arrival of the produce to check each case for quality and freshness. There might be some imperfections or inconsistencies, however you will still benefit from purchasing organic produce at wholesale prices. We will try to fill your order exactly, however mother nature can change her mind at any time and weather conditions and factors can affect the inventory that we actually receive vs. what was ordered. At times the wholesaler may offer us an alternative product and there could be a slight variation in price but as long as the product fits the needs we will go ahead and order (for example Fuji vs. Gala apples or kale vs. chard, or collards). The wholesalers pricing changes DAILY. We receive the wholesalers price list the night before delivery and the wholesaler adjusts the pricing at the time the order is assembled. That means we may have to adjust pricing after you have already ordered. Sometimes this can work out in our favor, in a reduction in price, other times it could mean an increase. Sometimes the wholesaler will not have an item in inventory that was there the week before, it all is based on growing cycles and areas. 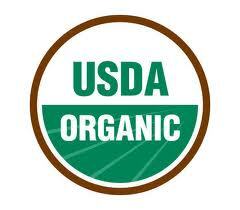 All organic produce ordered from the wholesalers is certified and legitimate, regardless of country of origin. Our wholesalers guarantee that they know the farms where the produce is coming from (even if its not from the US) and assure that their practices meet wholesaler’s standards. 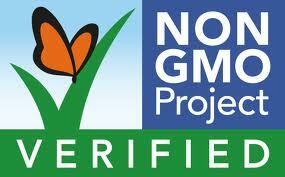 All certified organic produce is NON-GMO. You can place your order until 12:00 p.m. on Monday afternoon. In order to ensure that we get the items that we want we like to place the order in a timely manner. Preferably, if you can order before noon (12:00 p.m.) on Sunday’s that would be even better. This assures that the wholesaler’s quality control and order selectors can do their work and our order gets in line before the inventory is exhausted. This way if the wholesaler is out of one item, it allows for possible substitutions. If a product doesn’t turn out what you expected, we need to know as soon as possible. It is best you inspect your produce at the time of pickup, at the latest within 24hrs so we can call the wholesaler asap with our concerns. We accept checks and cash but not credit cards. We want to keep the prices at, or below 15%, of the wholesale rate for all of our members. This way we will not incur credit card processing or merchandise fees. You might be asking why a 15% convenience fee? I thought this was a buying group! Yes we are, and there are still expenses associated with managing the logistics of it all. There is a truck delivery fee tacked on from the wholesaler with each delivery, we pay an additional fee when splitting cases, the website upkeep costs money, bank fees, d/b/a and licensing fees, paper to print orders on, etc. Our member-helpers will be able to get a break on their grocery bill for helping order, receive and sort the produce as well if there is money left after expense a credit towards their order. You get the picture. We are not running this Buying Group for a profit, however our expenses should be covered in all fairness and member-helpers get a break if possible. All you have to do is order on time and then pick up your ready-to-go bag of groceries. If you are interested in lending a helping hand and have a couple of hours to spare a week, please let us know. Where are your prices ?